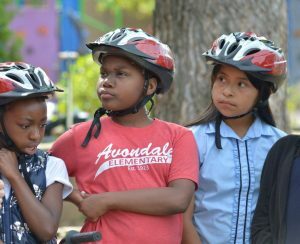 Stolen Bikes and Trailer Haults Program – United Way of Central Alabama, Inc.
An important youth health initiative in our schools, called Bike Rodeos, had to be canceled because all the program’s equipment was stolen. The Bike Rodeos use a 20 ft trailer loaded with 32 bikes to promote bike safety in area schools. An online fundraiser has been launched to raise enough money to replace the trailer and the bikes taken in order to restore the program. The address to donate is www.eunited.org/bikes. 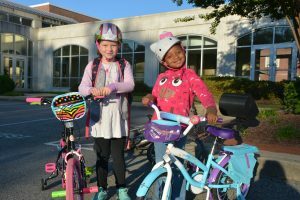 United Way’s Healthy Communities’ Bike Rodeos are held with partners Children’s of Alabama and the Safe Routes to School Initiative. 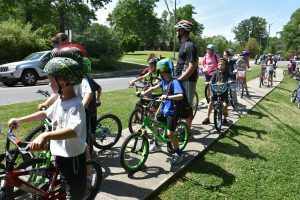 A bike rodeo is an event that provides elementary school children with the opportunity to learn, practice, and demonstrate bike-handling skills in a fun, safe and encouraging atmosphere. “Our children look forward to this event each year,” said Kristin Booker, Principal, Hemphill Elementary School. “I was devastated. This is knowledge that really changed their lives”. At the rodeos, numerous obstacle courses are set up with chalk and traffic cones. Adult volunteers run each activity station or obstacle course to teach the children how to control their bikes better. Teaching stations include helmet safety; a safety check; mounting and dismounting; surrounding awareness; stops and starts; changing directions; steering and balance. United Way has launched a two-week online fund drive to raise funds to replace the trailer and bikes. Help replace our stolen bikes and trailer, and continue the safety training in our schools. 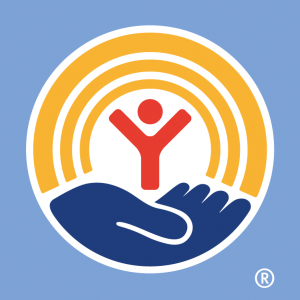 United Way of Central A labama serves Jefferson, Shelby, Walker, Blount and St. Clair counties by providing solutions for the most important needs in the community. Through our partner agencies and community initiatives, we improve lives and community conditions by building and mobilizing resources. Visit www.uwca.org for more information.